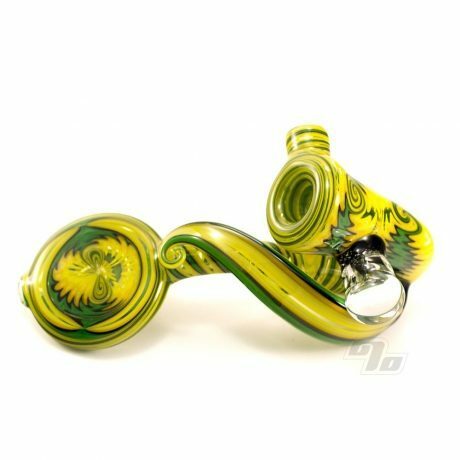 This one of a kind glass Sherlock from SLICK is beyond description. 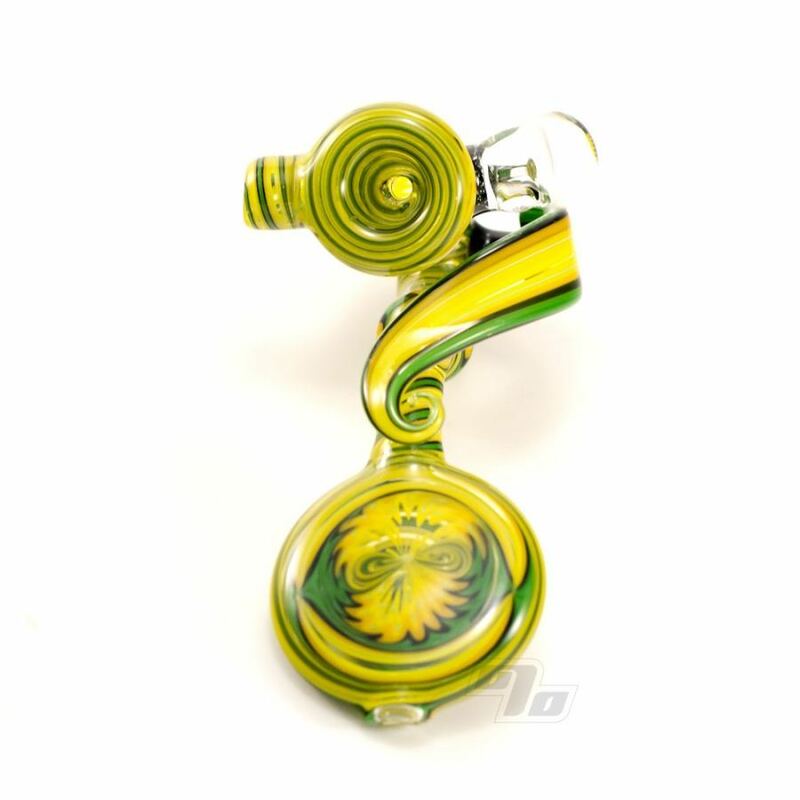 Sherlock dry-pipe is electric featuring vibrant yellow and green over clear accented by an encapsulated faceted EXTRATERRESTRIAL Moldavite stone inside. Topped off with a braced ribbon. This signed and numbered one of a kind piece from SLICK not only looks great with those seamless wig-wags and reversals but also fits perfectly in your hand. 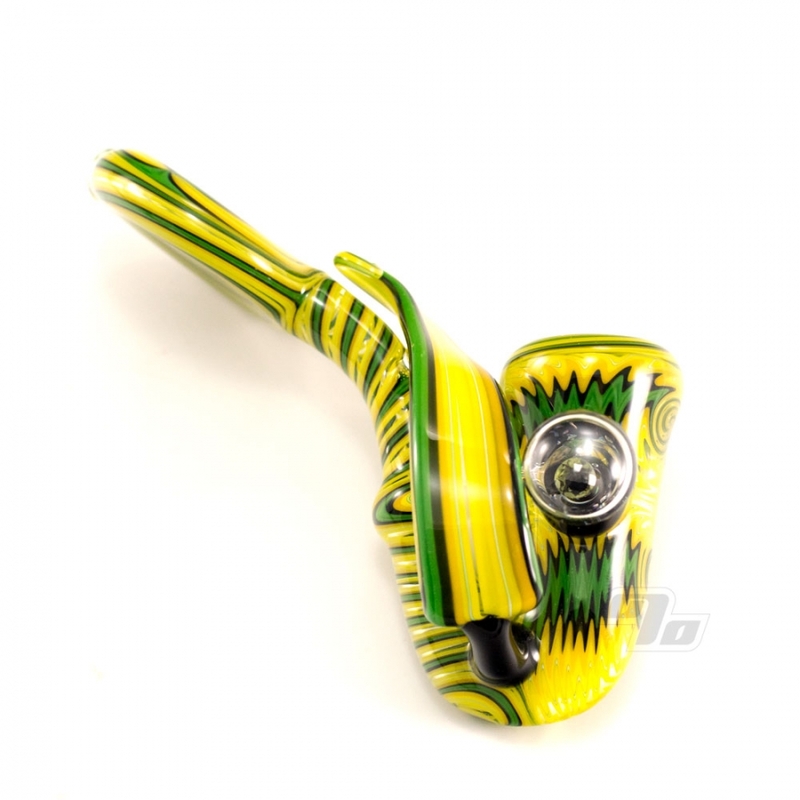 Super comfortable sherlock pipe measures up at approx 5 inches tall and ~4 inches wide. Lays right every which way; as you would expect.